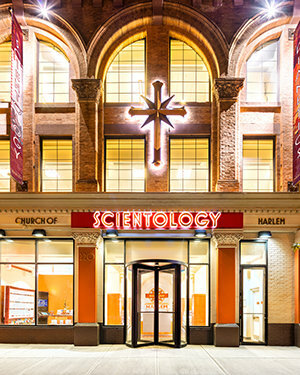 For decades, Scientologists have been a part of the Harlem community. Today our new home on 125th Street marks the beginning of a new era for our Church. It is now our honor to be able to serve the community on an entirely new scale. We share our Church and our many social betterment and humanitarian programs with all of Harlem and look forward to working with every group and individual committed to helping others. 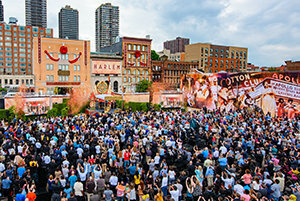 Our Church realizes Scientology Founder L. Ron Hubbard’s vision that all Churches of Scientology become what he termed Ideal Organizations (Orgs). Ideal Orgs not only provide the ideal facilities to service Scientologists on their ascent to higher states of spiritual freedom, but they also serve as a meeting ground for the cooperative effort of all denominations to unite and strengthen the community. 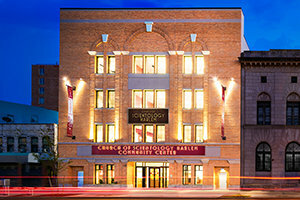 Welcome to the Church of Scientology Harlem Community Center. It is our honor to make this Center and its many community facilities available for use by all.